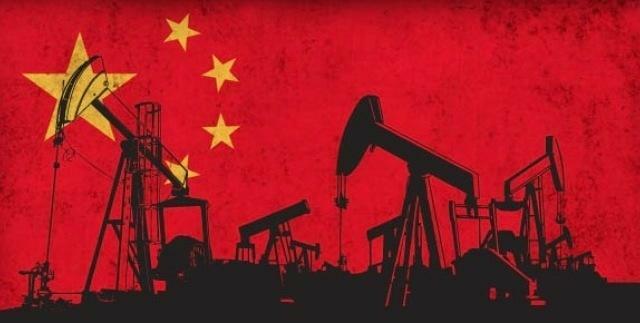 China is pulling out all stops in order to increase its oil and gas production, but at the end of the day it will likely not be enough to stop the world’s second largest economy from becoming over reliant on geopolitically charged crude oil and natural gas imports. On Monday, state-run Chinese oil majors CNPC and Sinopec, also Asia’s largest refinery, said they were speeding up drilling and exploration from major tight oil and shale gas formations in the country’s western regions. CNPC also said that new exploration in shale gas, tight oil and tight gas will lead to growth in production for the country’s largest oil and gas producer. The company added that the drilling cycle at the Mahu field in Xinjiang, one of CNPC’s largest findings in recent years, fell around 40 percent the previous year. A Reuters report said this implies that oil wells are being completed and produced at a faster rate. China’s ambitions to develop more of its own oil and gas reserves is a race against a ticking clock. The middle kingdom has already bypassed the U.S. to become the world’s top oil importer, with much of those oil imports having geopolitical strings attached. China is the largest importer of Iranian oil, and that resource is being jeopardized by fresh U.S. sanctions against Iran’s oil sector that went onto effect on November 5. China is also reliant on both Russia and Saudi Arabian crude and just recently pared back crude imports from the U.S. amid ongoing trade tensions between Washington and Beijing. China’s dilemma in its gas sector is just as perplexing. The country bypassed South Korea late last year to become the world’s second largest liquefied natural gas (LNG) importer, with projection that it will even pass Japan as the top LNG importer at the beginning to mid part of the next decade, a development unimaginable just two years ago. China's insatiable gas demand comes as the government mandates that gas, amid record air pollution levels, particularly in its major urban centers, make up at least 10 percent of its energy mix needed for power generation by 2020, with more earmarks set for 2030. Yet, China's growing oil dependency will create the most problems for Beijing as it is forced to continue to rely on the U.S. to safeguard global shipping lanes. However, that possibility would take acquiesce on the part of both the White House and Pentagon that China's blue ocean navy was indeed developed enough and trustworthy enough to share that decades old responsibility shouldered solely by the US Navy. What China needs to offset both its growing oil and gas dependency is more domestic production, but therein lies the problem. China's oil fields are maturing and it’s unlikely that significant discoveries can be found to replace depletion reserves. Around five or six years ago, Beijing pegged its hope on emulating the US shale oil and gas success story, even cutting deals with American firms to help develop China's shell formations. However, unlike most US shale formations, China's are in difficult reach, rugged terrain, indicating that shale oil and gas will not offer the solution that Beijing energy planners needs, at least in the foreseeable future. The way out going forward for China is to diversify its oil and gas supply mix as much as possible and continue to reach global joint development agreements with both national and international oil companies, an art that hydrocarbon deficient Japan, the world’s third largest crude oil importer, has executed brilliantly for decades.